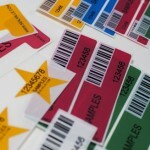 Security labels and tapes are easy-to-use, fast and cost-effective ways of sealing products. 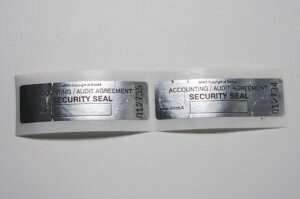 Our security tapes can be used on tape dispensers which makes sealing very easy! Application as package tape. 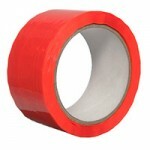 We offer a wide range of security tapes, you will surely find the alternative that suits your needs the best. If you cannot find the right alternative, please don’t hesitate to contact us – together we’ll find the best alternative to meet your needs! Application on any surface. Application on document folders, pharmaceuticals, courier mail, electronics etc. Unauthorized opening leaves a clearly detectable trace on the surface and the label. Impossible to re-seal without a trace. Application on any surface e.g. airplane doors, pharmaceuticals, courier mail, computers etc. Unauthorized opening leaves a detectable trace on the label. Impossible to re-seal without a trace. The MRP2 –label has cuts in the shape of a half moon which destroy the seal if opened. Very sticky adhesive guarantees top hold on most demanding surfaces. Application e.g on document folders, electronics, courier mail, computers etc. 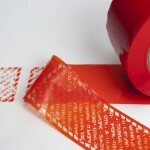 Blue KTXT security tape: leaves a clearly detectable trace on the surface and the tape. The most cost-effective alternative for sealing. Leaves a clearly detectable trace on the surface and the tape, if tampered. Impossible to re-seal without a trace. The tape roll is ongoing and leaves specially good trace on cardboard and carton. Can be used on tape dispensers. Roll size 5cmx50m. Package size 24 rolls. For use in extreme conditions. Leaves seal on surface and tape. Impossible to re-seal without a trace. The roll is perforated every 15 cm, thus every 15cm can also be used as a sticker. Can be used on a tape dispenser. Roll size 5cmx50m. Package size 36 rolls. Security tape on white surface, serial number every 15 cm with text: SEALED DO NOT REMOVE. Serial number visible on the surface if opened – the best possible security for your mail. This special batch available as long as in stock. Application as package tape to ensure that no unauthorized person opens your packages.